Have you ever had an intense craving for some seriously sweet chocolate? I did this past week, and in my search found this recipe on thechurchcook.blogspot.com. As soon as I saw it, I knew it was exactly what I was looking for! 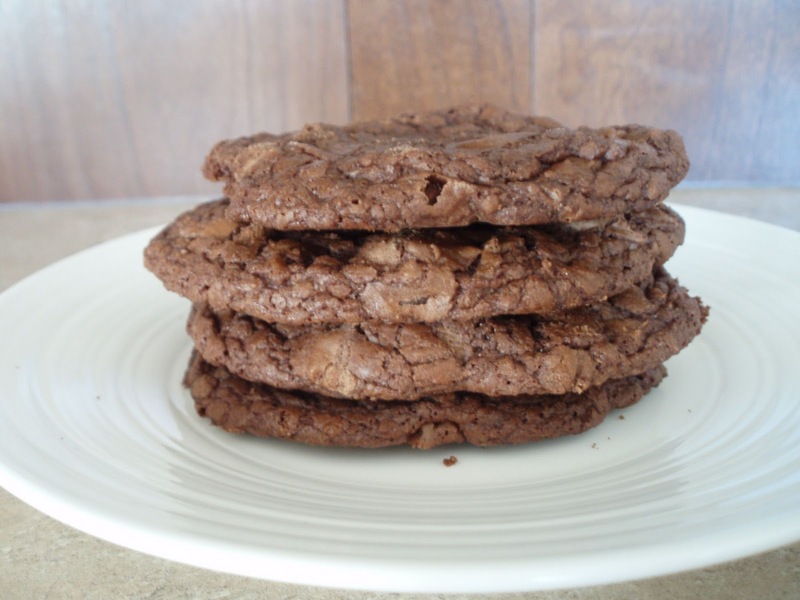 These cookies have the soft and chewy texture of a brownie, but in a convenient cookie form. They are quite easy to make, and after the first bite you will be absolutely blown away! Consider yourself warned. 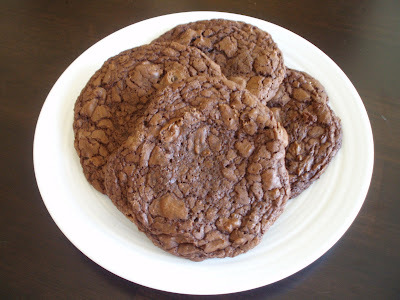 I made about 3 dozen, but I think mine were a little large (not that I am complaining!). The original post can be found here. Let cool, and enjoy with an ice cold glass of milk!